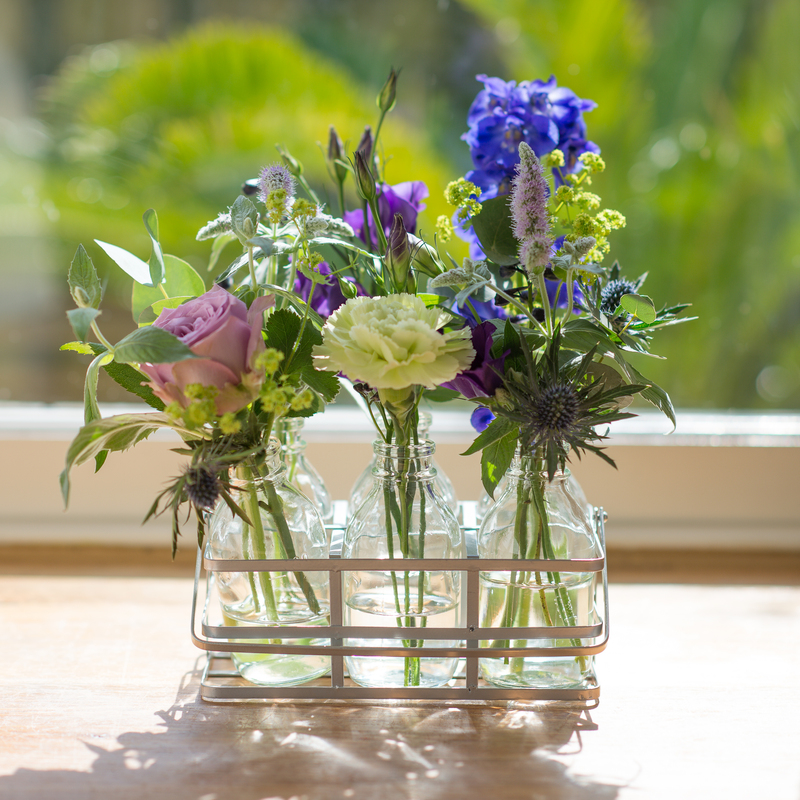 Little bottles filled to the brim with lilac blooms and garden foliage held in a vintage style silver metal basket. 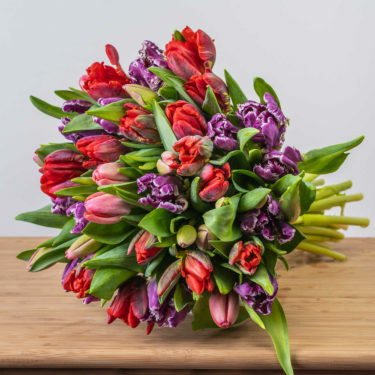 Your flowers are delivered as a small posy with the bottles packaged separately for transit and can be arranged by the recipient with creativity and style! 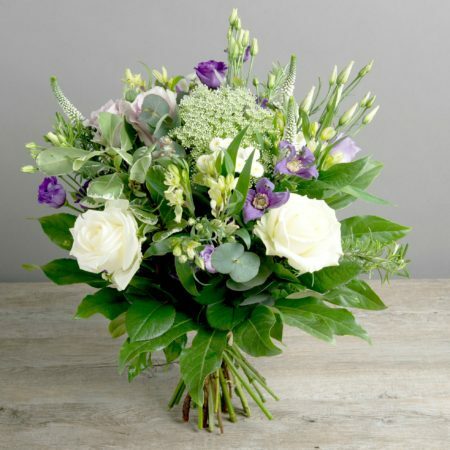 Flower Gift Package: Lovingly prepared fresh flowers arrive two weeks after your initial gift and then the last Friday in the month for up to three months! 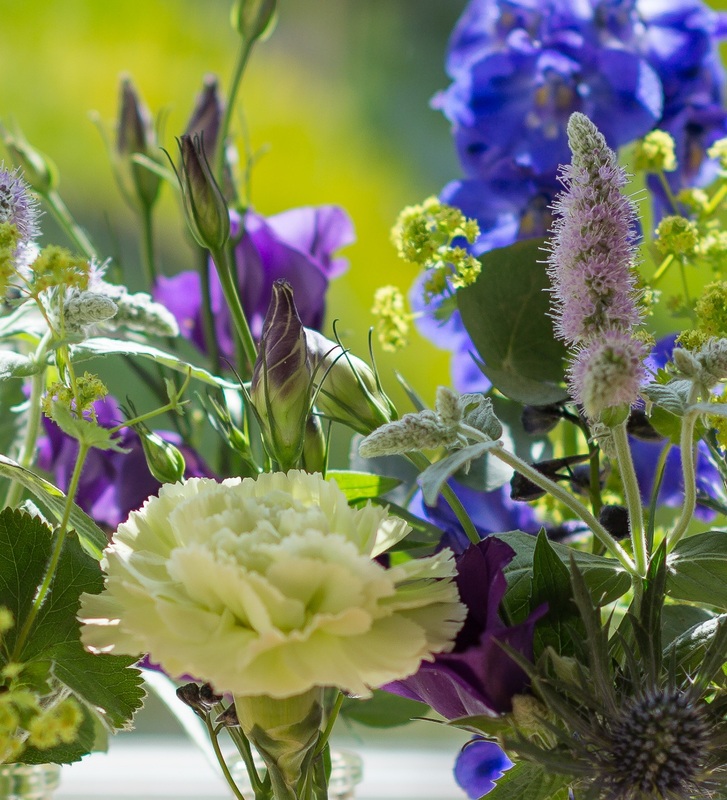 Your flowers have been delivered as a small posy with your bottles packaged separately for transit so you can arrange with creativity and flair! 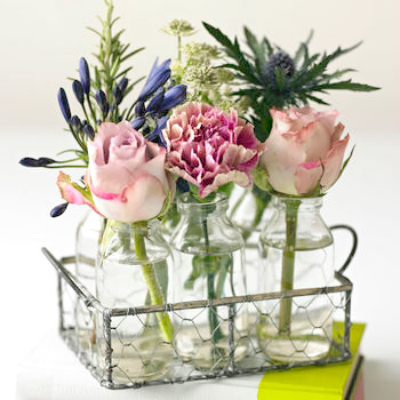 Flowers maybe a little thirsty after their journey so try to remove them from their packaging as soon as possible. 1. 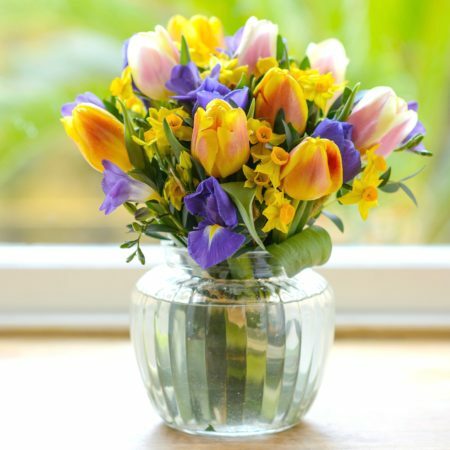 Trim a little off each stem at an angle with a sharp knife or secateurs so your flowers can easily take up water after their journey. 2. Half fill your little bottles with fresh water. 3. 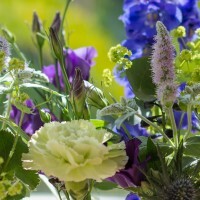 Add a little of the special flower food supplied with your flowers to each bottle. Check the water every couple of days – some flowers are really thirsty! 4. 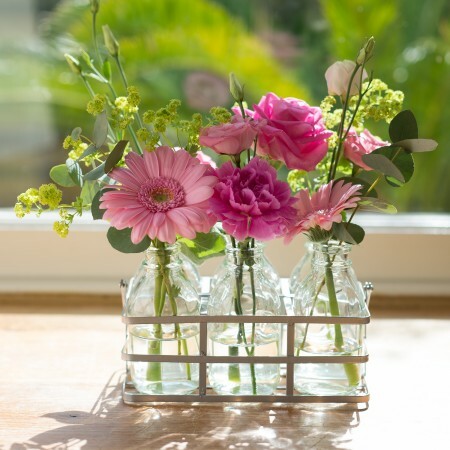 Use your imagination and creativity to display your flowers in the bottles.